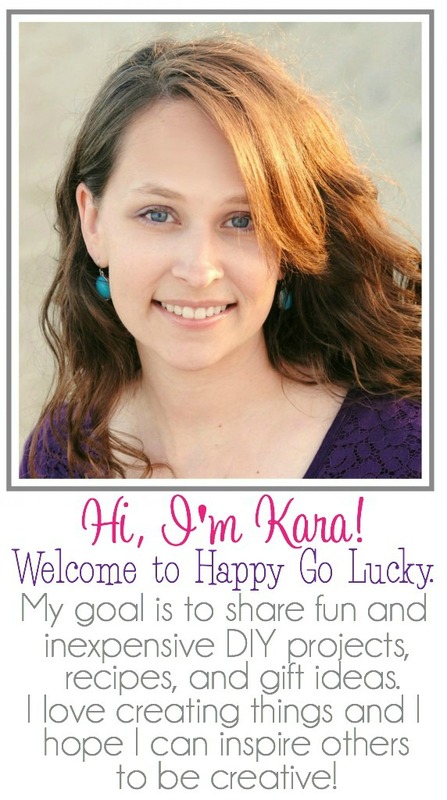 One of my favorite things about blogging is teaming up with other bloggers to bring you fun activities and tutorials. 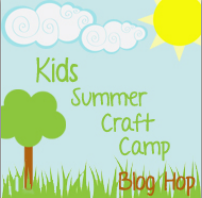 Today I’m participating in the Kids Summer Craft Camp Blog Hop and we are sharing fun painting activities that you can do this summer. 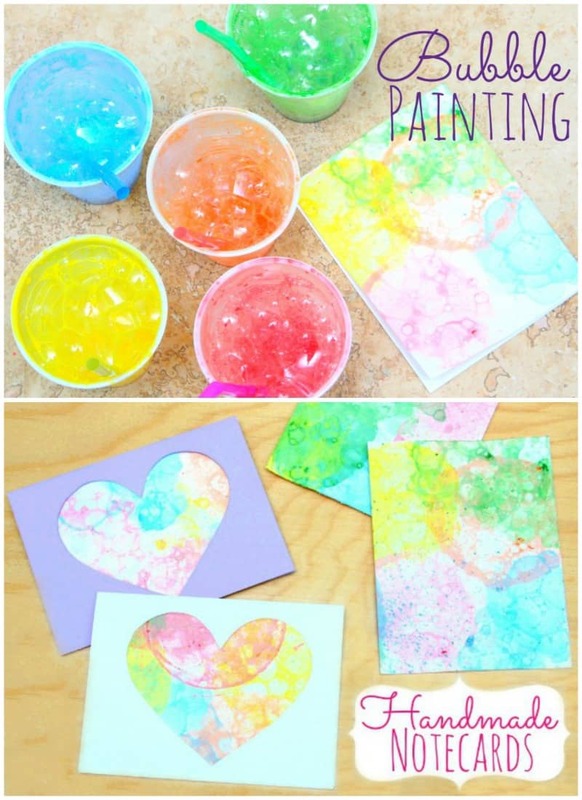 Have you ever tried to paint with bubbles? I had never even heard of this fun technique until this past weekend. My neighbor is a preschool teacher and she was telling me about it so Connor and I had to try it. Who knew bubble painting could be so much fun! 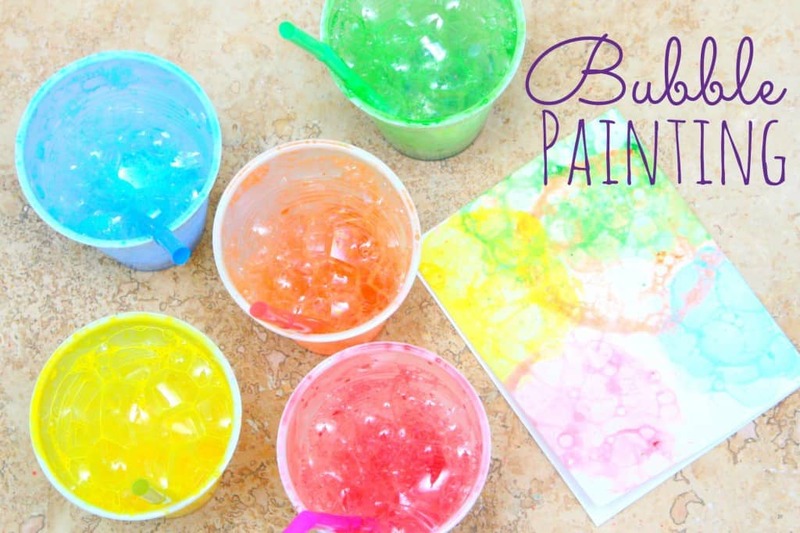 Mix each cup using the straw and start blowing bubbles. Once the bubbles rise above the rim of the cup, lay your paper over the bubbles. Then remove the paper and repeat with a different color paint. It’s as simple as that! I ended up cutting the card stock into 4 pieces so it was easier to cover the entire piece of paper with the bubble paint. Then once the paint dried we made notecards for Connor to send to his grandparents. I took cardstock and folded the paper into notecards. 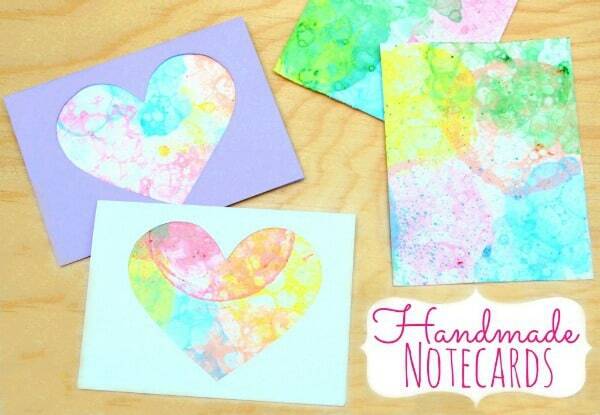 I cut out a heart and used double sided tape to attach his bubble art to the notecard. I love this–so pretty. And using them in cards too is brilliant! Thanks so much for playing along with us this week! You could do these for Christmas cards for sure. Just start now and have her do 5 or 6 every week. Break it up, and it will be a piece of cake! fixed my website information…:) Love this, my daughter loves painting! mich wieder wohl in meiner Haut zu fühlen. Antipasto-Spezialitäten und Saucen für Pasta im Sortiment und weitere werden bald folgen.